An Illinois woman was charged with DUI after police found a 15-foot tree stuck in the front grill of her car. Photos posted to the Roselle Police Department Facebook page show what officers found during a DUI stop back in January. 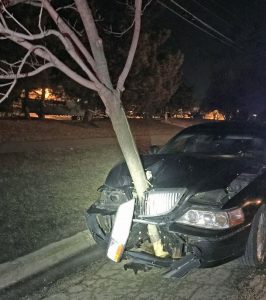 The car apparently struck a tree —but the driver kept driving.